Customer engagement is the new marketing mantra. The difference between a successful business and a not-so-successful or unsuccessful business is the level of customer engagement. Online, mobile app, customer service, in-store experience, all platforms, all customer touch points, all media, everything is aimed at bringing customer close to the brand. And close to a level where-in the customer interacts and engages with the brand. Brands are devising innovative and interesting ways to engage customers. There’s a lot to learn from how Macy’s does it. In fact, Macy’s has mastered the art of customer engagement since the time the concept of customer-engagement was not exactly marketing jargon. And in recent times, Macy’s has used a fine blend of technology and social media to design some excellent customer-engagement drives. Macy’s started 2016 with devising a new interactive marketing initiative for their Spring line. Macy’s #MacysLove campaign focused on customers’ interpretation of latest fashion for the season. This campaign focused on customer generated social media content, of which selected ones would be displayed on billboards across the major cities in the US, including Times Square, New York. Customers had to post their impression of big trends for spring along with #MacysLove on Instagram and Twitter. And the lucky customers whose pictures were selected pictures and featured on the billboards received a digital momento to share on their social media accounts. 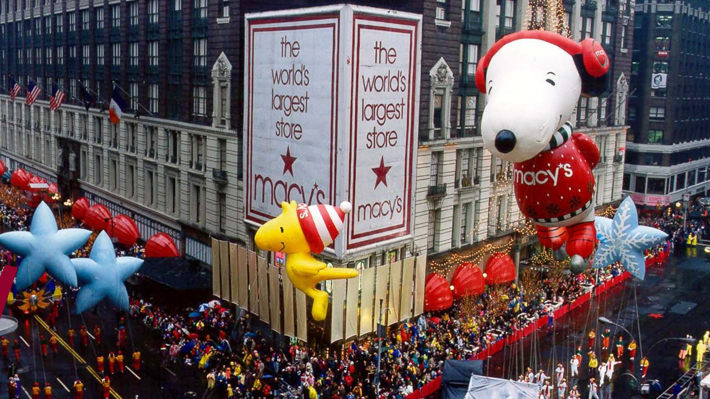 To see the amazing customer response Macy’s got, visit http://www.mobilemarketer.com/cms/news/social-networks/22333.html. Macy’s 4th July fireworks display has been the pride of New York for 40 years now. This year it’s going to be even more special. Macy’s has launched digital fireworks display, where-in users will be able to sync their mobile devices to the fireworks in the sky. As the fireworks display starts, mobile screen will change colors in tandem to the display in the sky along with musical score the fireworks are choreographed to. It’s like having a digital fireworks show in your hand. Millions of spectators watching the show from home will have chance to be a part of the amazing display personally. Users need to download the Makelight app on their phones, select the event and hold their phones up in the air to enjoy the display on their handheld. Need interesting ideas for your brand’s customer-engagement? Get in touch with us at support@xymob.com.